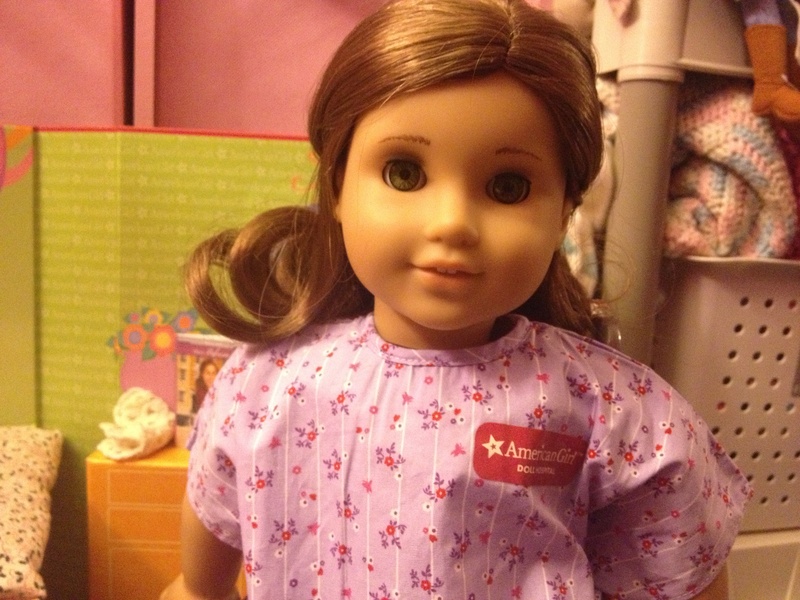 Here’s Rebecca in her room at the Hospital. “Hmm.. I think I’ll read a book and have a truffle.” Rebecca said, feeling very depressed and lonely. 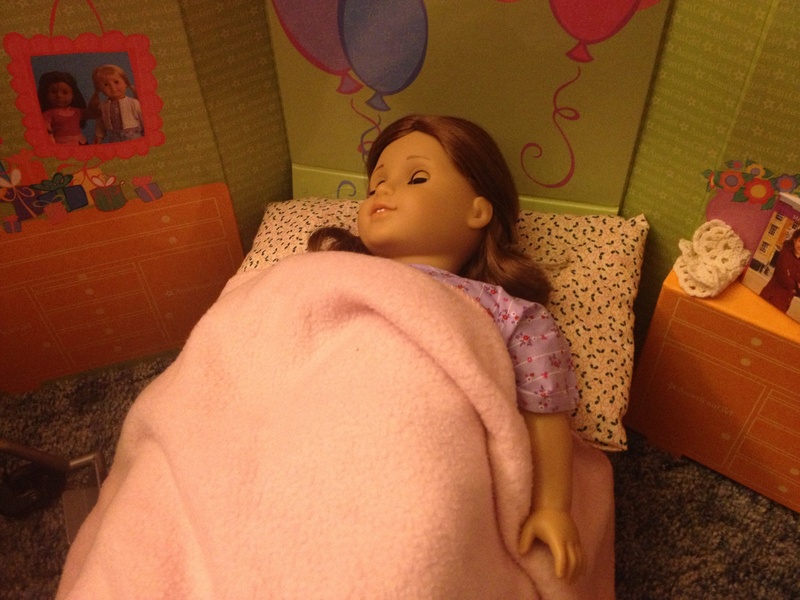 So Rebecca climbed into bed to rest. She’s always been one to follow the rules. 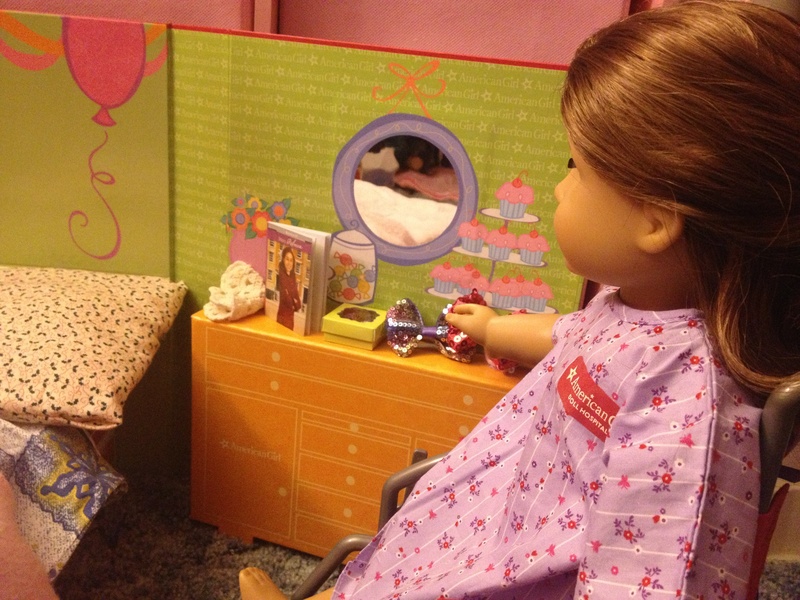 Have your dolls ever been to the hospital? The pretty table with all of the delicious foods! “Joesfina! I can’t believe you’re eating a cupcake! 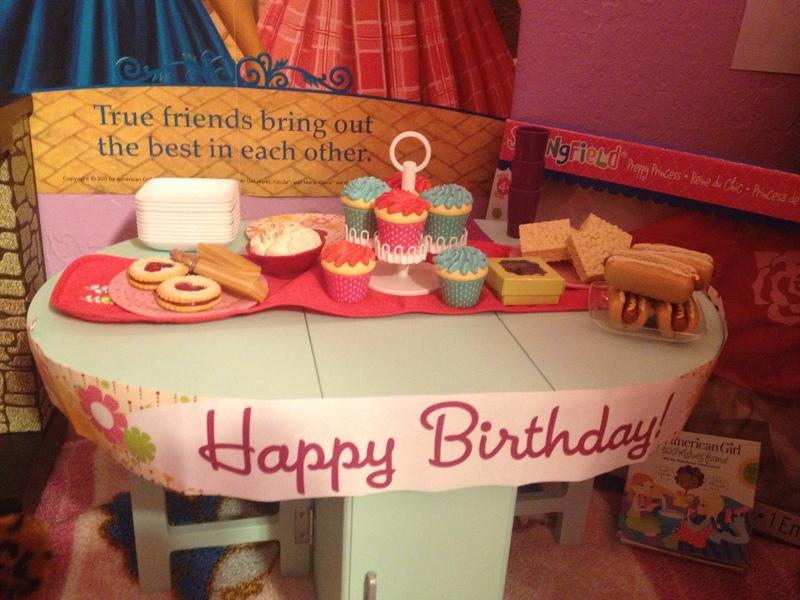 We were supposed to wait until Rebecca, Addy, and Lissie came and we all shout “SURPISE”! !” Kanani said. “Well, I helped make them- so I can eat’em whenever I want! Anyways stop scolding me!” Josefina replied. “Because, 1- I’m older than you. 2- I’m hungry. And 3- You don’t want me to be annoyed at the party! !” Josefina explained with a mischievious grin. “When are they gonna get here?” Asked Caroline getting very excited. “I don’t know! But we have to be patient! Anyways, they’re just in the other room! Hehe!” Saige said with a giggle. “Here they COME! 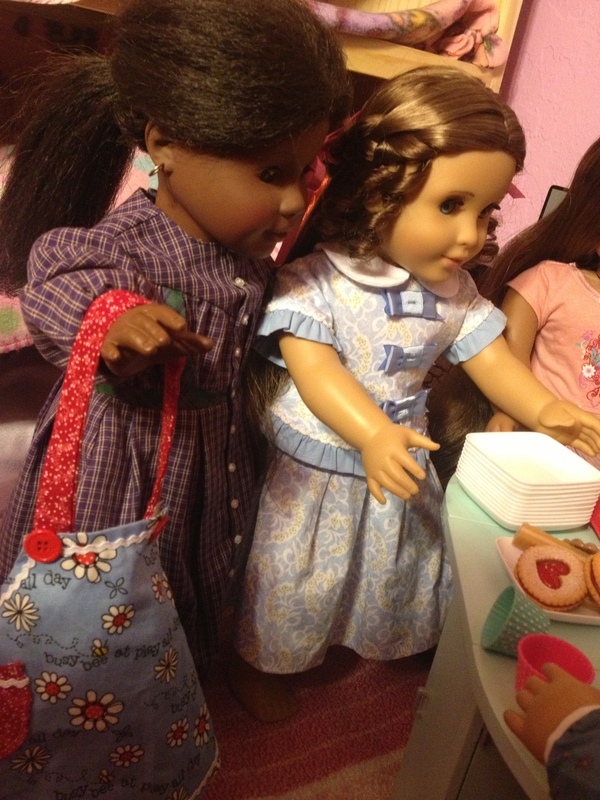 !” Marie-Grace said enthusiastically! “SURPIIIIISE!!! HAPPY BIRTHDAY GIRLS!!!! !” Everyone shouted. “Oh my goodness! Thank you!! 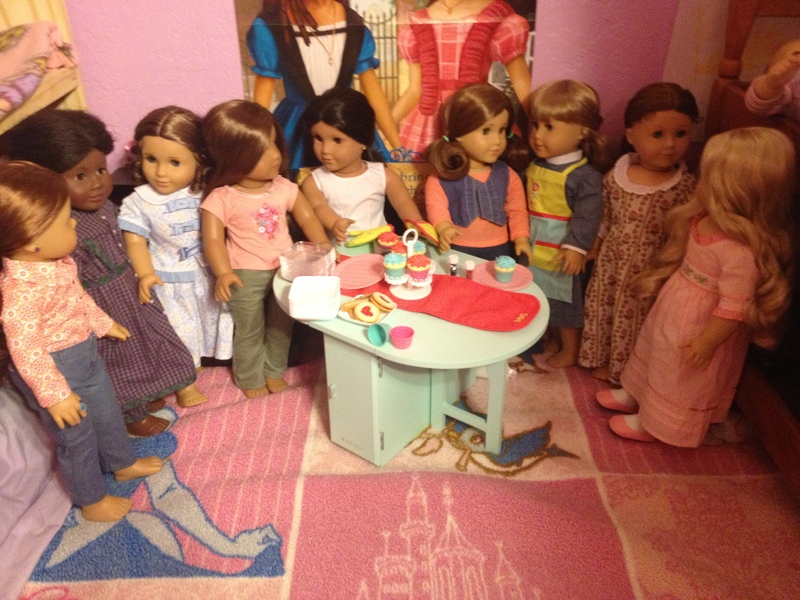 !” Felicity, Addy, and Rebecca said in unison. “Look! We have TONS of food! Dig in!” Kirsten said, feeling very proud of herself. After much eating it was time to open gifts! “Saige! It’s beatiful!” Lissie said holding up her drawing of some lovely horses. 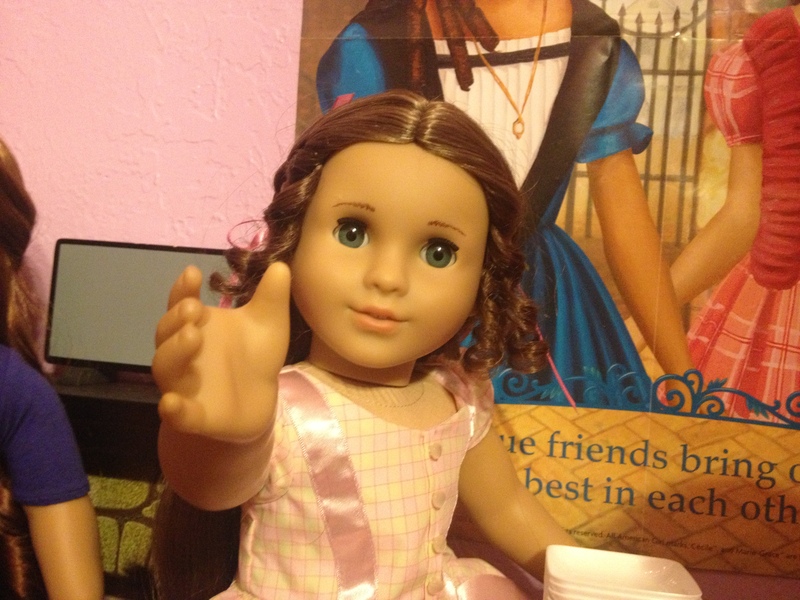 “Thank you, Saige!” Addy said very grateful. 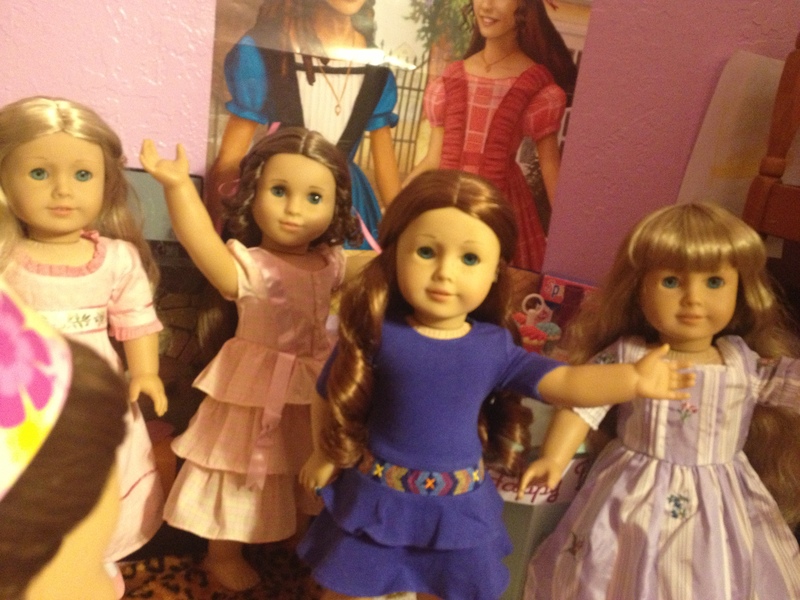 “I LOVE it!” Rebecca said. “I’m glad! 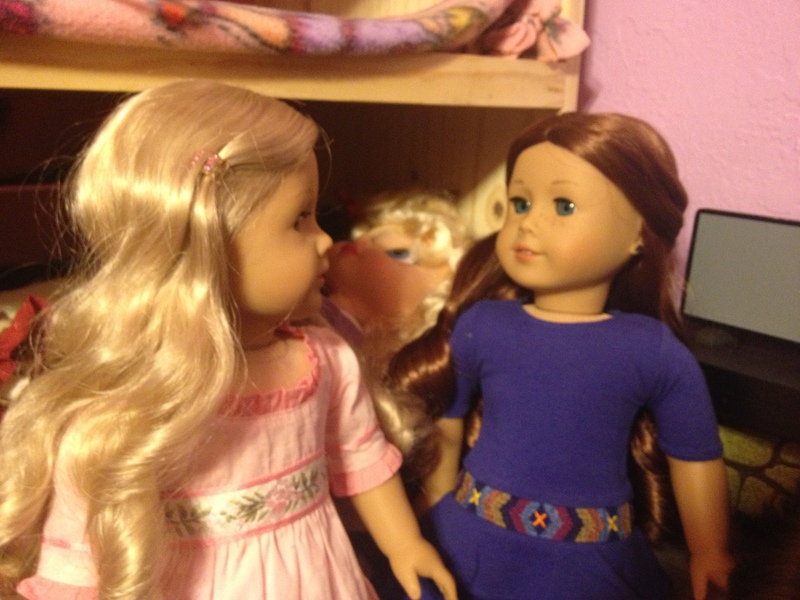 It’s not from a store but I didn’t have any money and I wanted to get you something.” Saige said a little shy. “Oh, Saige! It’s ok! 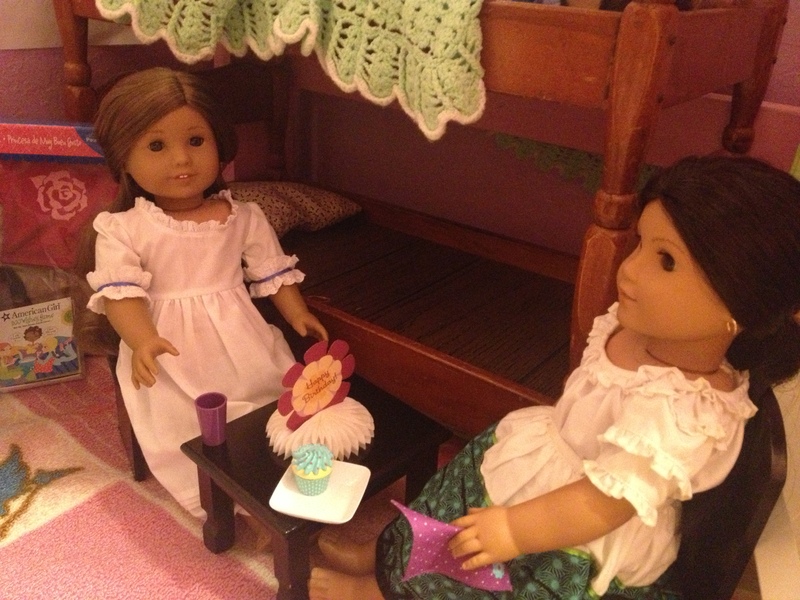 Homemade gifts are the very best of all!” Felicity said, always able to cheer up her sisters. HAPPY BIRTHDAY, REBECCA!!!! I LOVE YOU SWEET GIRL!! Do you have Rebecca? 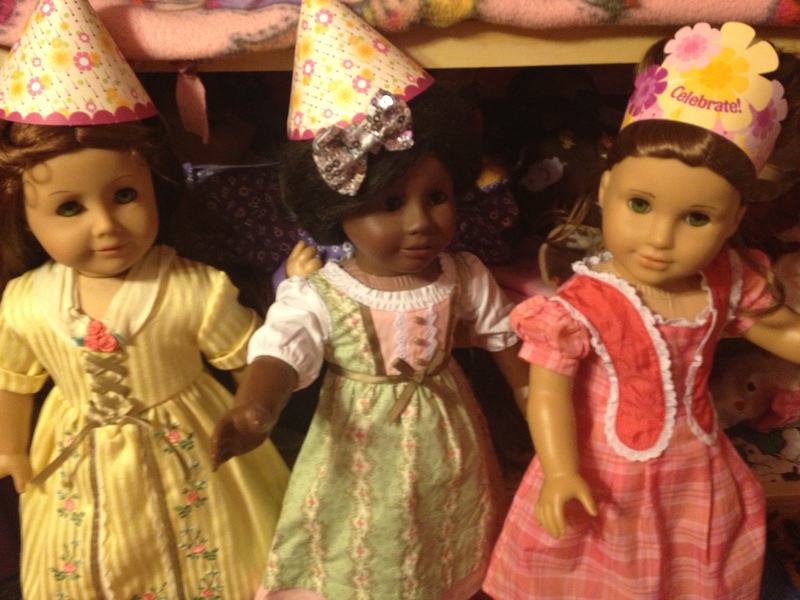 How do you celebrate your doll’s birthdays? Happy Good Friday Everyone! I’m so excited for Easter and it’s just in 2 days! Yay! 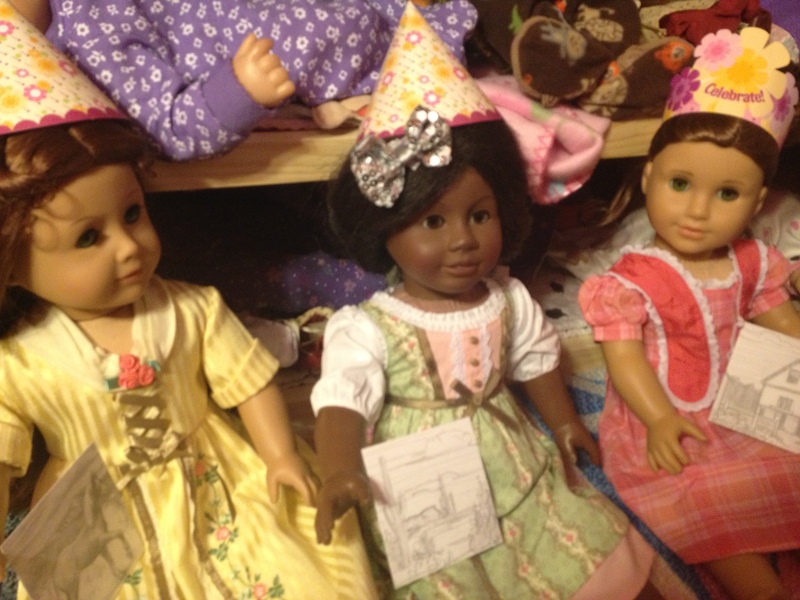 My dolls are having fun preparing for Easter in a bunch of different ways. Take a look! 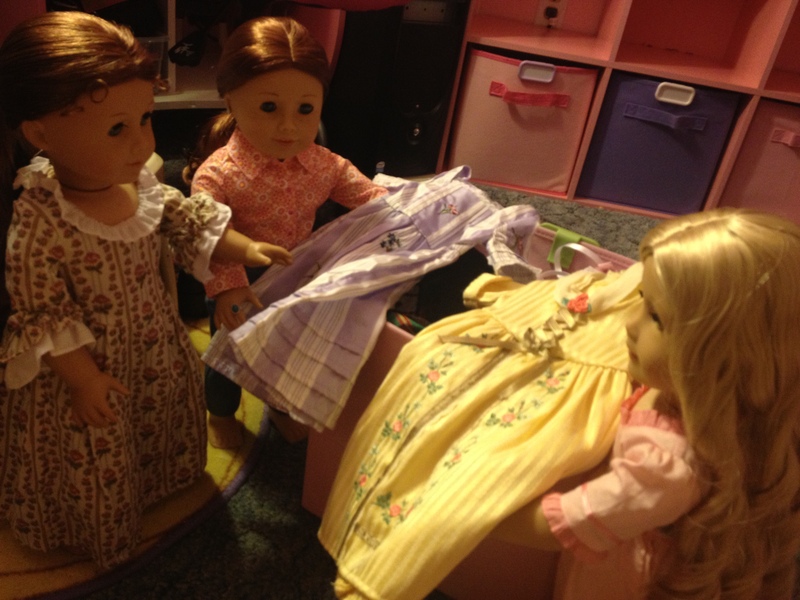 Saige and Caroline are going through the outfits trying to figure out who’s gonna wear what on Sunday. Felicity is helping them decide. 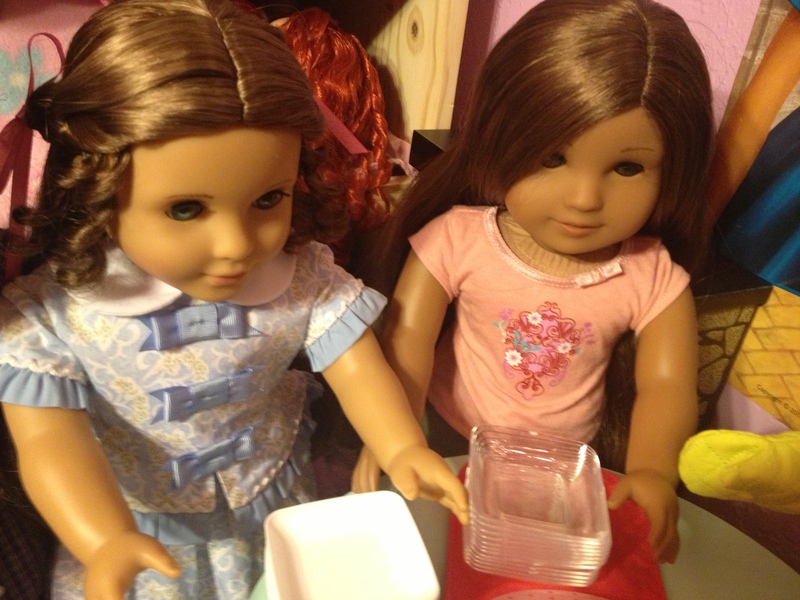 Kanani and Marie-Grace getting the plates out for all the desserts and fun foods we’re going to have! 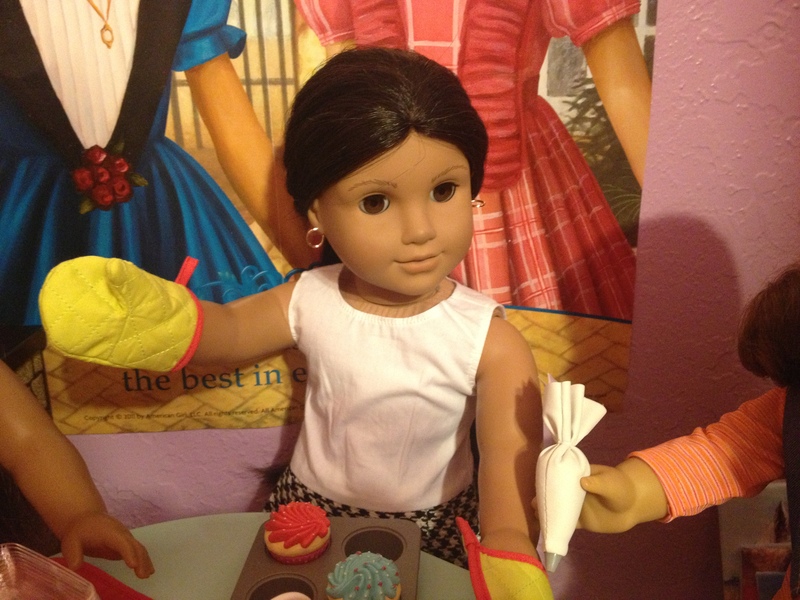 Josefina ready to pop the last batch of cupcakes in the oven. 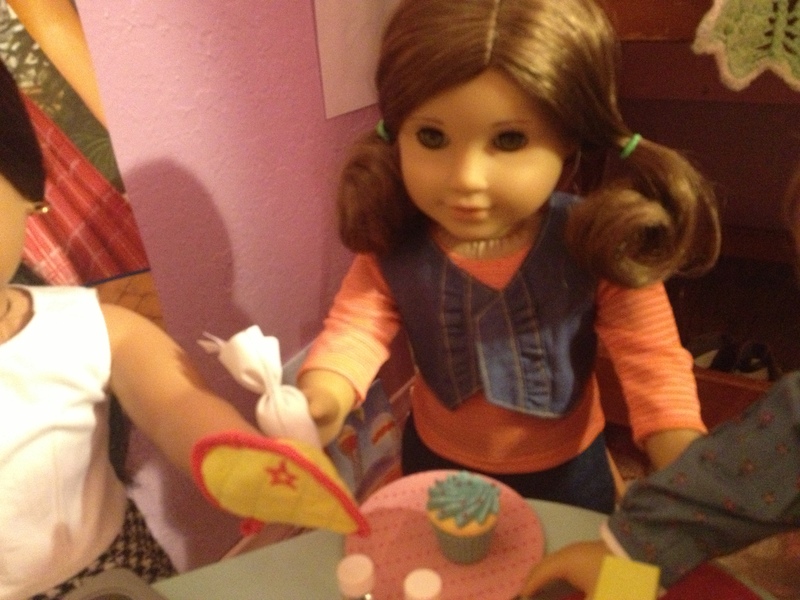 Rebecca frosting the cupcakes! Don’t they look SO good? Kirsten making Rice Krispy Treats! I love those! “Josefina! You don’t have an apron on! You’re gonna ruin Rebecca’s dress!” Addy said, in her “older” tone. 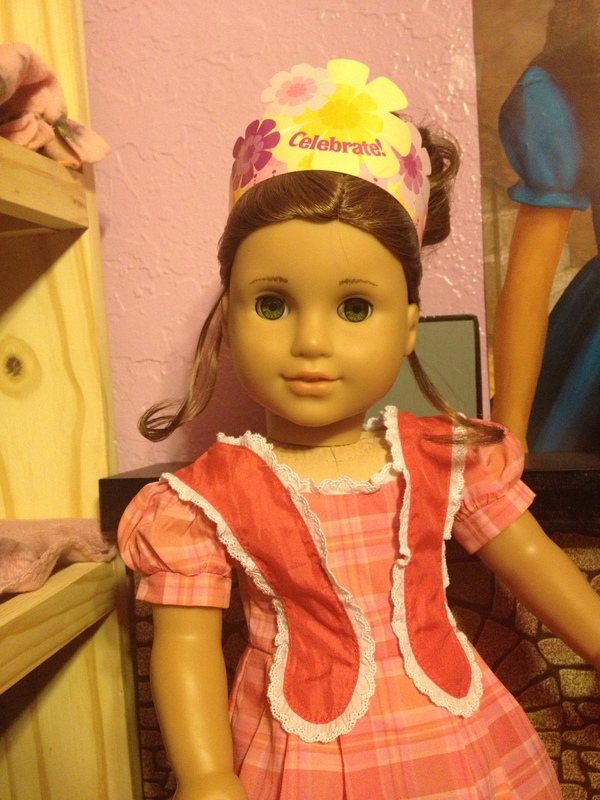 “Oh, Addy! I’m fine! I’m putting the last batch in right now and then I’m done! 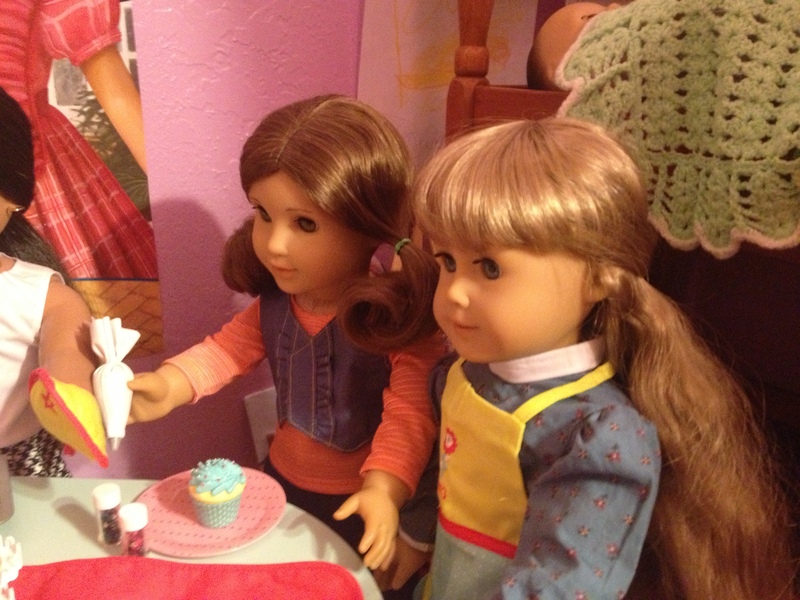 I don’t need to put an apron on just for that!” Josefina replied, a little annoyed. “Aye, yi, yi! Alright! Josefina replied once again- annoyed. 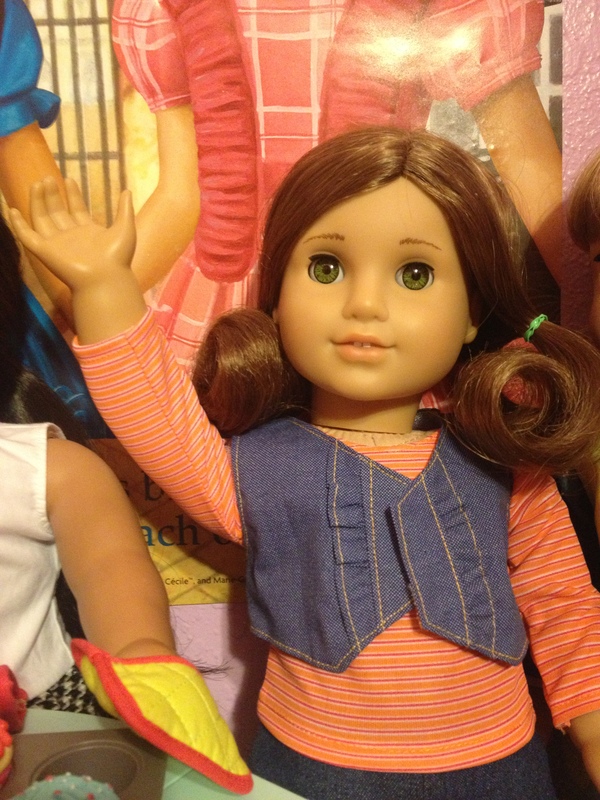 “I’m so excited for the egg hunt! I wonder what kind of candy we’ll get?” Kirsten wondered trying to change the subject. “I don’t know, but I hope we get lots and lots! 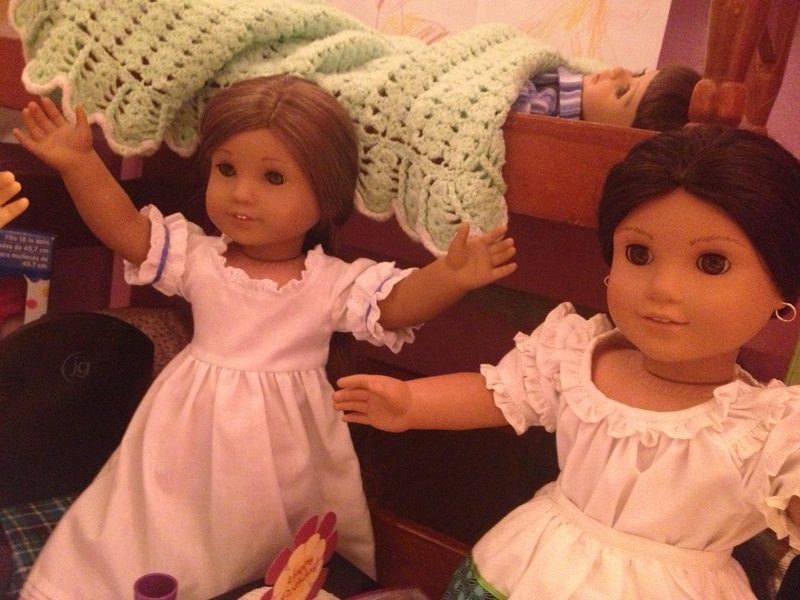 I hope it’s a beautiful day on Sunday!” Josefina said, getting very excited herself. “Girls! Come on, gather round! I have something to tell you.” I said. 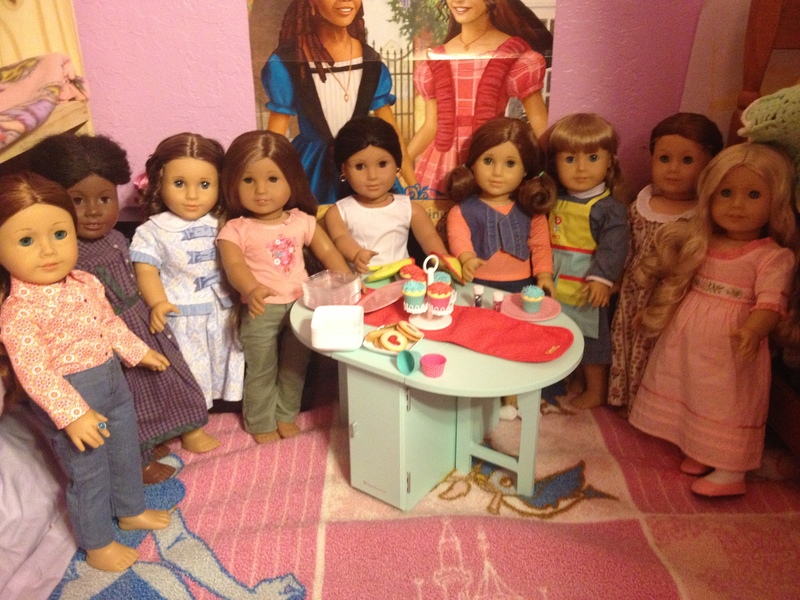 So they all gathered round and I made my announcement. “Girls, I know you’ve been looking forward to Easter and the egg hunt, but it’s supposed to rain. So I’m afraid we’ll have to cancel the egg hunt.” I said feeling so sorry for my girls. “I have an idea! Since we can’t have an egg hunt outside doesn’t mean we can’t have an egg hunt inside! There’s enough room so, why not?” She said trying to cheer up her sisters. Many hugs were passed to her that day! They were all so happy to get to have their egg hunt after all! “It IS a wonderful idea, Rebecca! 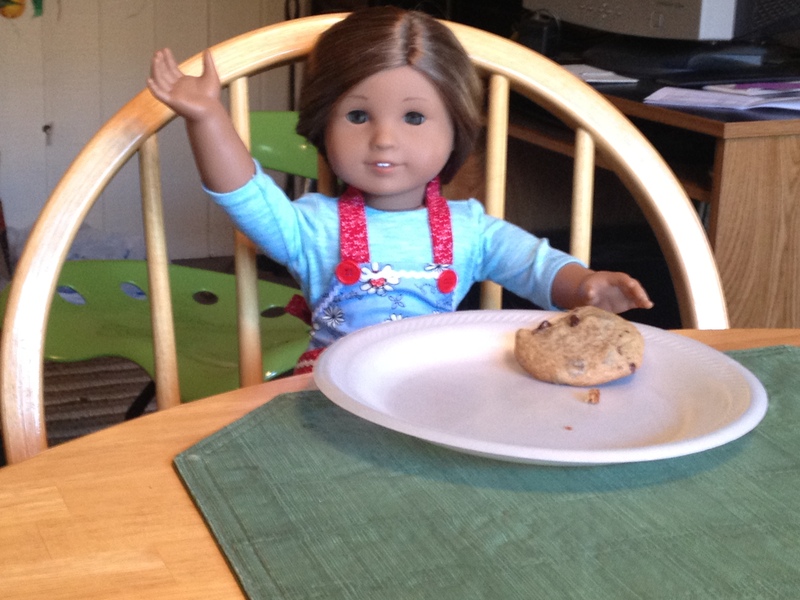 So now that that’s all settled- can we eat some cookies?” Josefina said in her silly mood. And everyone laughed and enjoyed the rest of the day! 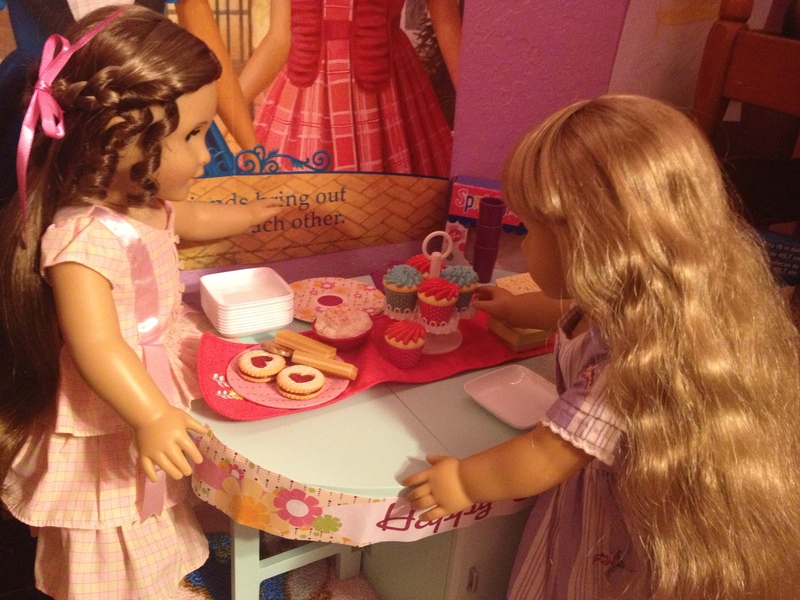 Are your dolls doing any preparing for Easter today? Have you ever had an indoor egg hunt? I took these pictures awhile back to send in to AGfan- but I never did so I decided to share them with you! 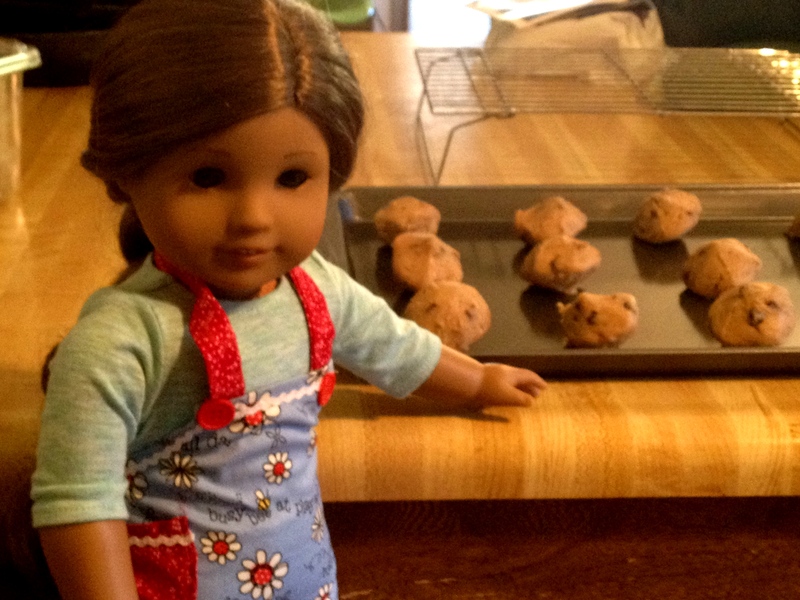 It was cold day and it was perfect weather to bake some cookies! 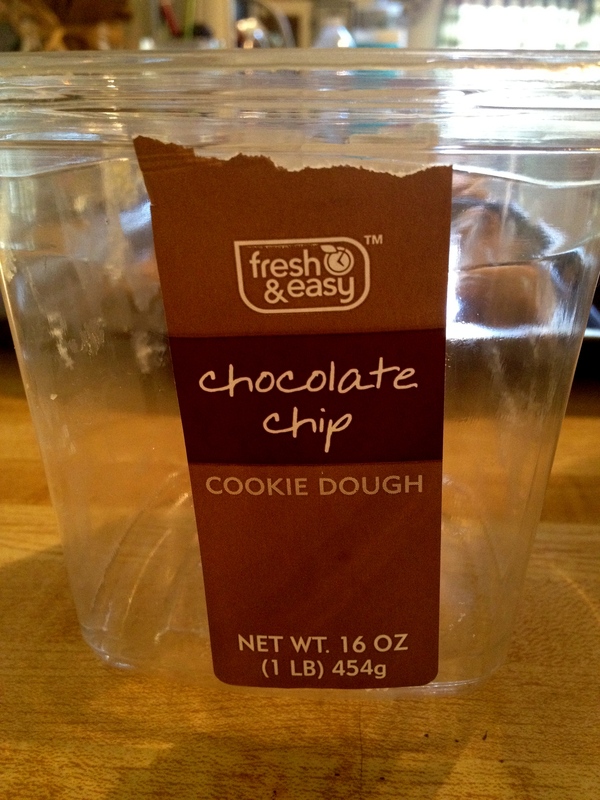 Chocolate chip cookies that is! 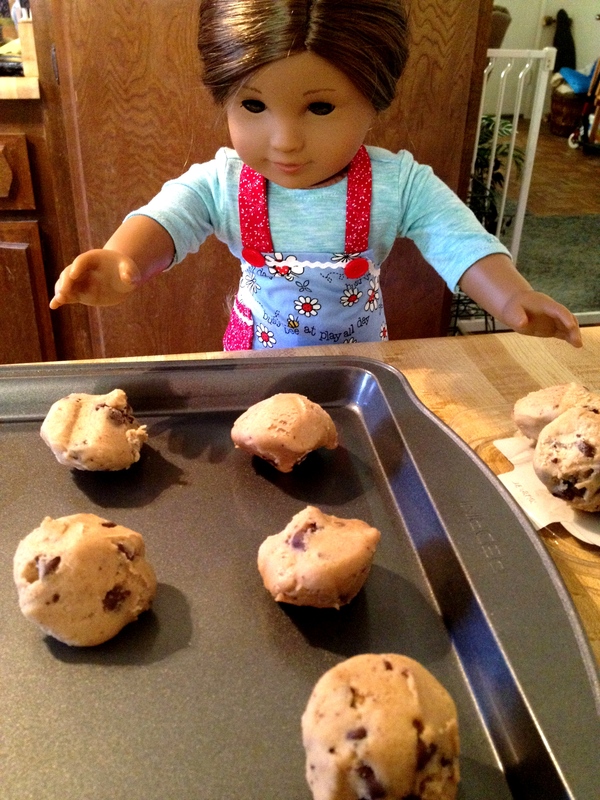 These are the type of cookies she’s making! 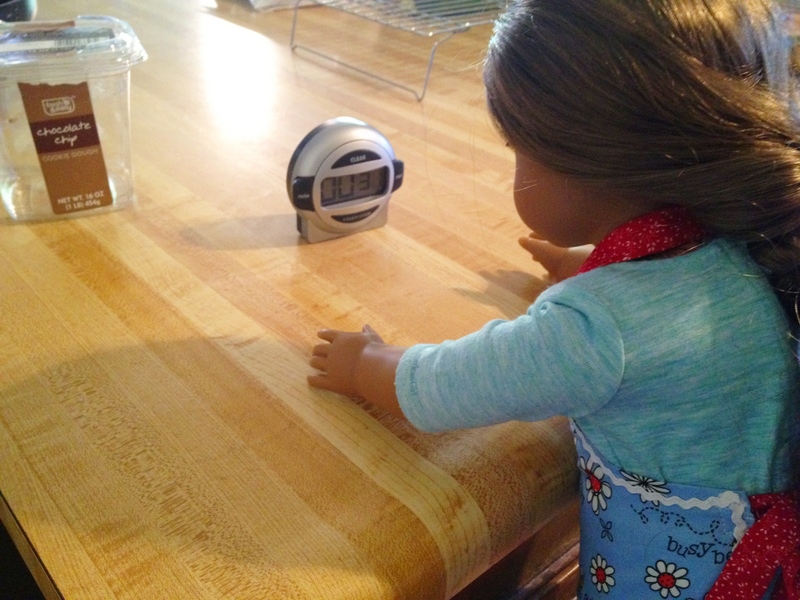 Kanani waiting for the timer to *BEEP*! “Patience sweetie!” I said. “They’re done, they’re done, they’re done!! 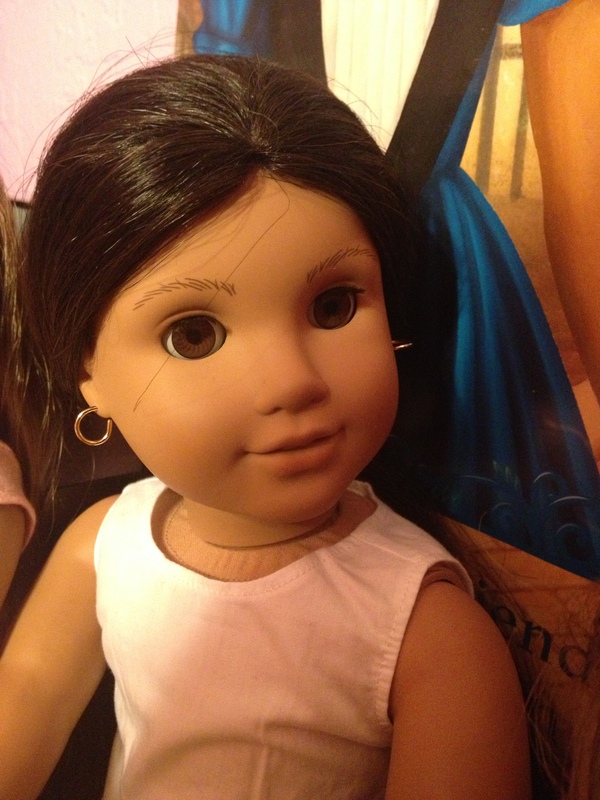 !” Kanani said very excited! “Go on, take a bite!” I told her. “Delicious! 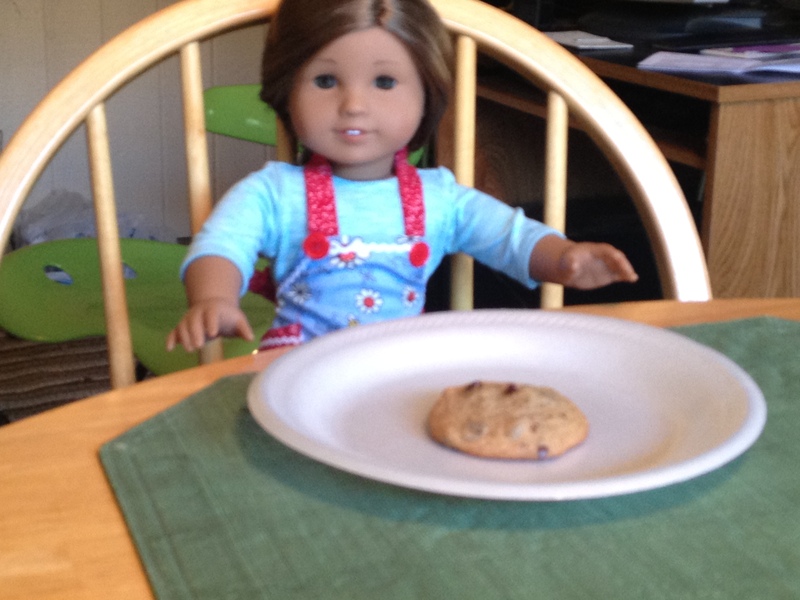 !” Kanani said with her mouth full. “I’d send you all some if I could!” She offered generously. 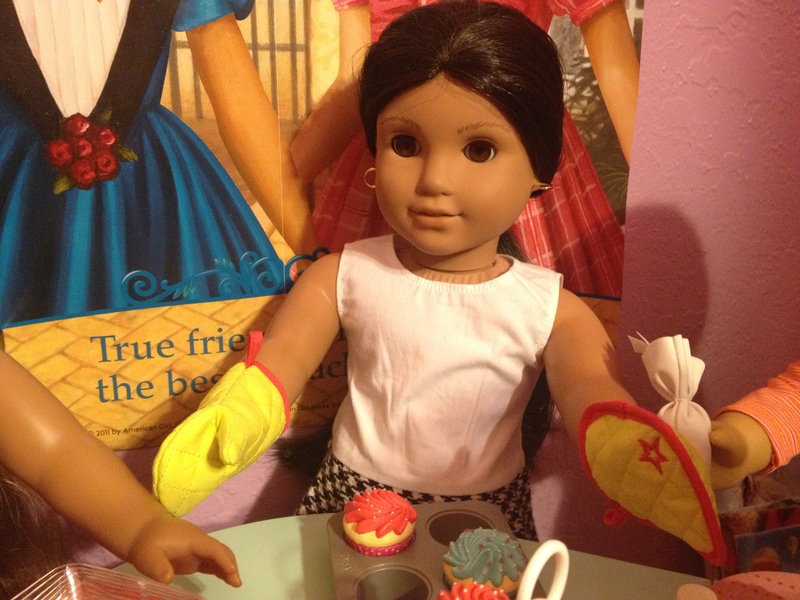 Well, Kanani had a LOT of fun showing you all what a great baker she is! 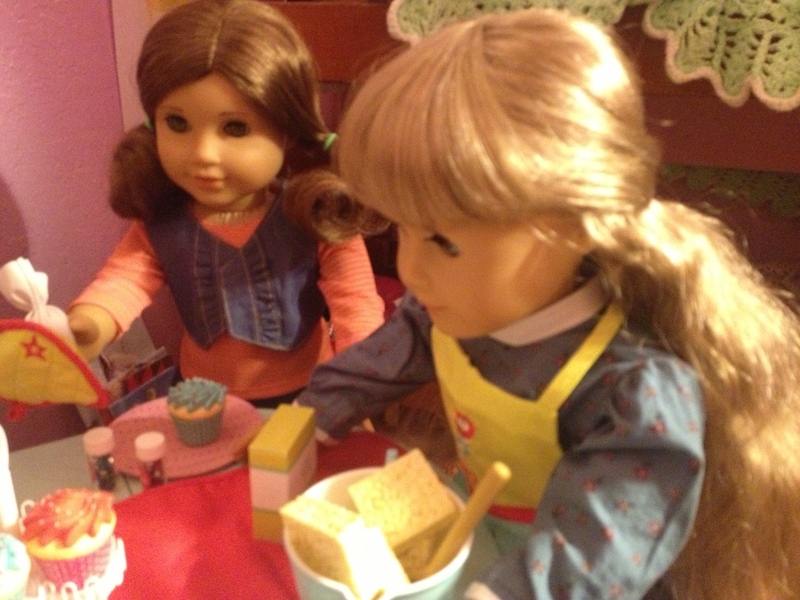 Kirsten and Josefina are normally the bakers but everyone else was still asleep. 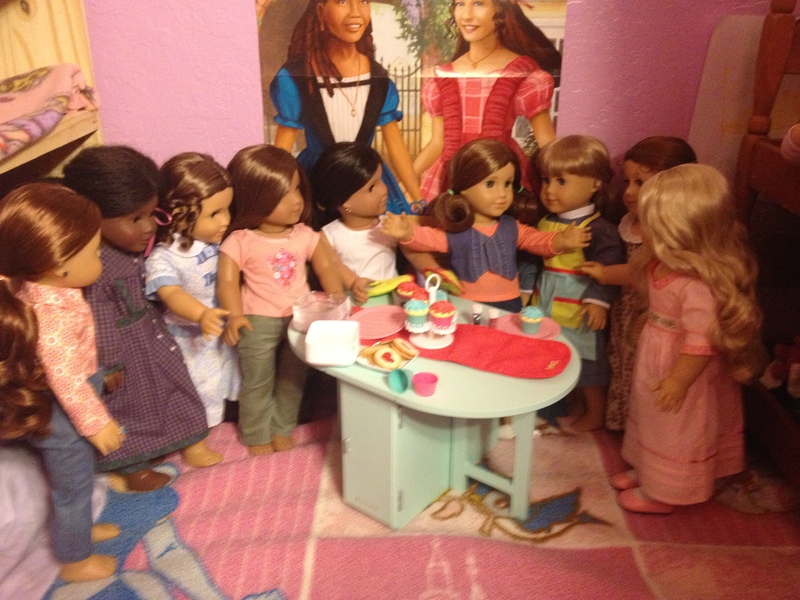 Kanani wanted to surprise them all! What’s your favorite cookie? 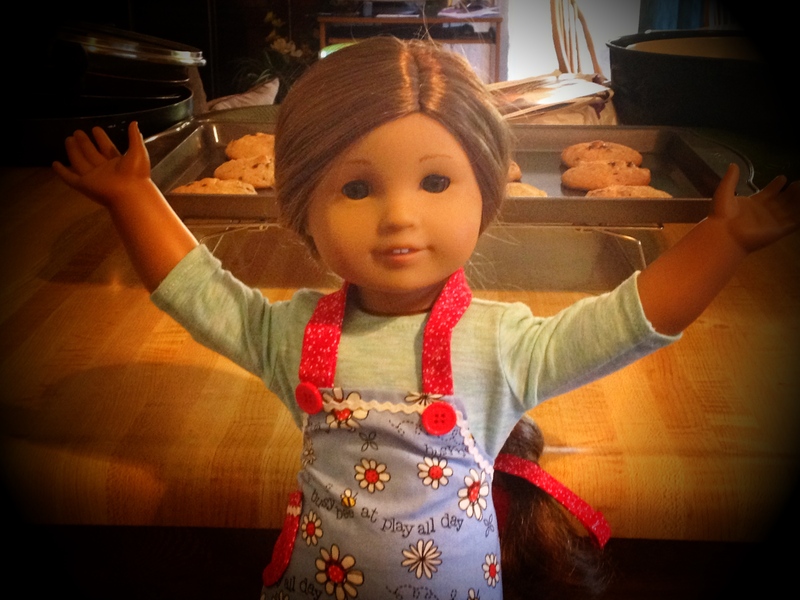 Do you have any little bakers in your doll family?